WE ARE A FAMILY-FOCUSED, PASSIONATE AND INTEGRITY DRIVEN CONSTRUCTION COMPANY. BUILDING A SENSE OF COMMUNITY THROUGHOUT THE ROCKY MOUNTAIN REGION. We create urban environments that stimulate a renewed sense of belonging and are one of the state’s leading general contractors focused on complex river work and site development. For over a decade, we have successfully shaped and exceeded what is expected from a general contractor for site construction. Our relationship is strong because we work side-by-side with our clients to accurately predict costs, review our documents for constructability and value-engineer project scopes. 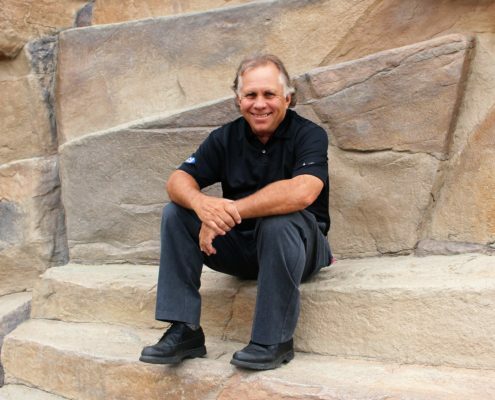 Brian Peterson founded the company in 1980, his ‘heavy equipment’ consisted of a pickup truck and wheel barrow. He shoveled dirt, planted trees, hauled rocks and installed irrigation systems. For the past 40 years, ECI has had a big reputation for being invested in our client’s aspirations, developing long lasting relationships and always put our clients interest above our team’s own. As of today, Brian and his 5 partners lead the vision to where they want to see the direction of the company heading. The same integrity, passion and authenticity drive the entire ECI team. It’s what makes this company different along with its ability to tackle projects that simultaneously require civil and site development work. Whether we use our CM/GC or DESIGN-BUILD approach, we pride our self in delivering projects that blend downtown redevelopment, park and sports venues and natural area restoration. Be respectful and never take for granted who got you where you are today, that being family, mentors, partners, coworkers, strategic partners and most importantly clients. Warren Buffet maybe the greatest investor, build a “moat” around your business in other words… differentiate yourself from the rest of the pack. ECI went from a simple landscaper to a “stand alone” building complex outdoor environments relevant to today’s urban development. Read a lot! Follow today’s trends and fill the relevant needs of those trends.